Having a food allergy or taking care of your beloved who has a food allergy; both are very important. All that matters is the instant care and attention you give to yourself or to the person whom you care about. Before knowing how to manage an allergy, getting to know what a food allergy is all about—is more important. 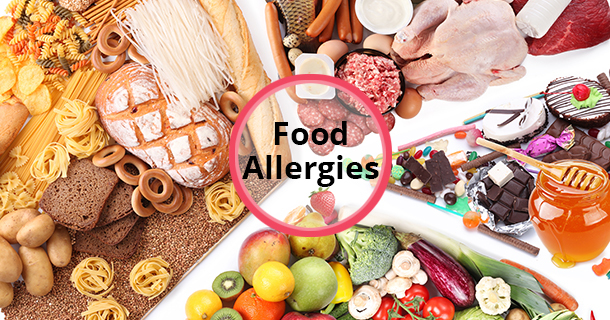 There are many foods that cause an allergic reaction to your immune system; a few of them being cow’s milk, egg, sea food, peanuts, wheat, soy products and rice. This does not mean your immune system is incompatible to these foods; it rather means your digestive system is not compatible with these foods and your immune system fights against the allergy causing chemicals from such foods, but is unsuccessful. This certainly, will leave behind traces of the allergy as inflammation and food poisoning in many. Keep an eye on which food reacts like what in your body. If you find your body reacts adversely to a particular kind of food or food product, keep a tab and avoid it from your menu. Maintain a personal food diary which will keep a track of foods that don’t suit you. Include turmeric in all your recipes. It is the most natural and best anti-allergic food product which will help your immune system fight against chemicals that don’t suit you. Vitamin C and B6 are the best known histamines which when included in your daily diet regimen will keep you off such dangerous food that doesn’t suit you. Do not panic. When you’ve had a food allergy, your skin might turn red or you might find it difficult to breathe. In such conditions, just make sure that you are hydrating yourself with enough water until you reach for the doc’s help. Also make sure that you take in supplements of zinc and manganese that your doc recommends. These metallic supplements help in boosting your immune system and thereby fighting against allergies. For foodies, eating is one of the greatest treasures. While it comes to handling such food allergies, the need for constant vigilance over what food you eat is essential. Do not hesitate to seek for support or food counselling. Remember, having a food allergy doesn’t mean you have to stay side-lined about the food you eat. There are many around you who have a food allergy; might be even more severe than yours, but still know how to manage such conditions. Be rest assured that you can also be one among those overwhelming majority of people who lead a healthy satisfying life! Is Amala Good for Hair?